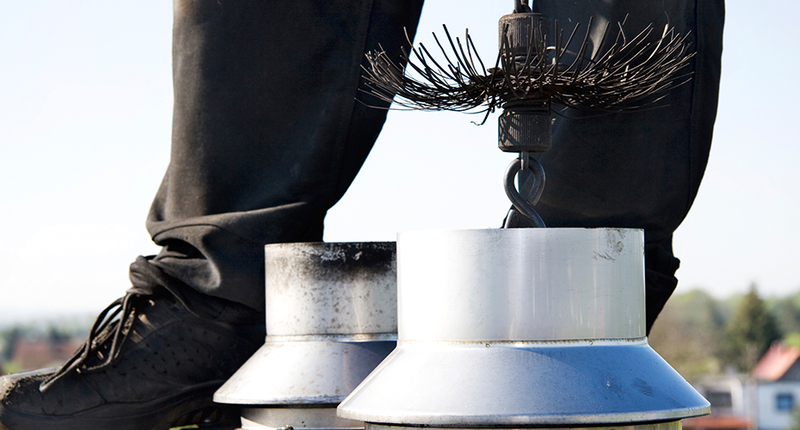 As Winter starts to thaw, Its time to look at all the debris that has fallen into your gutters. Spring rains will come up and over full or clogged gutters causing damage to the wood underneath the gutters. So it’s a good time to clean out the gutters and unclog your downspouts. Clean gutters and downspouts will allow the spring rains to flow easily from the gutters through the downspouts. Cleaning gutters today will eliminate damaging siding and eroding wood work on your home over time. Call Ambassador Property Services, at 678-421-0027 to give you a competitive quote on cleaning your gutters today! 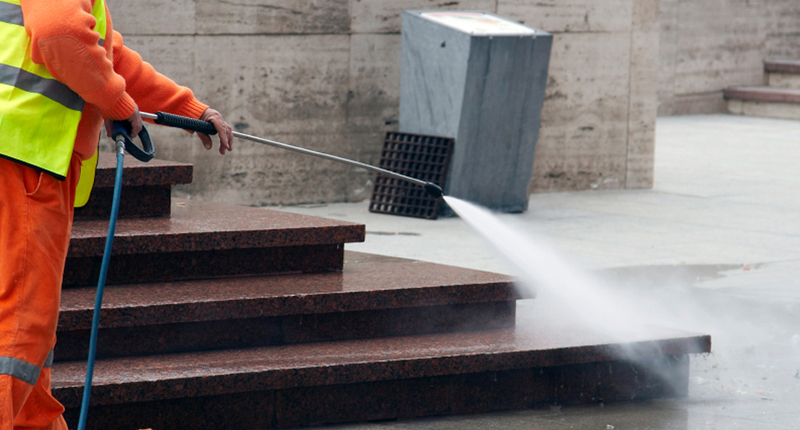 Pressure Wash your home with Ambassador Property Services. 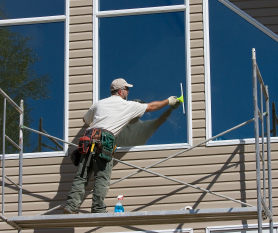 We give the outside of your home a face lift. We use industrial strength bleach and detergents when we pressure wash a house to give it that fresh new painted look that pops. Before we apply any solutions we water down the plant life so they are not harmed by the cleaning chemicals. When cleaning houses we make sure the cobwebs are gone and a bright clean home remains. Call us today, 678-421-0027 or visit our website at, Ambassador Property Services. Spring cleaning is in the air. All winter you have been looking out these dirty windows with dirt on the window sills and cobwebs on the corners of the windows. Now is a great time to call Ambassador Property Services to let the sunshine in. We are licensed, bonded and insured for your protection. Call Ambassador Property Services, at 678-421-0027 to give you a competitive quote on our window cleaning services today! 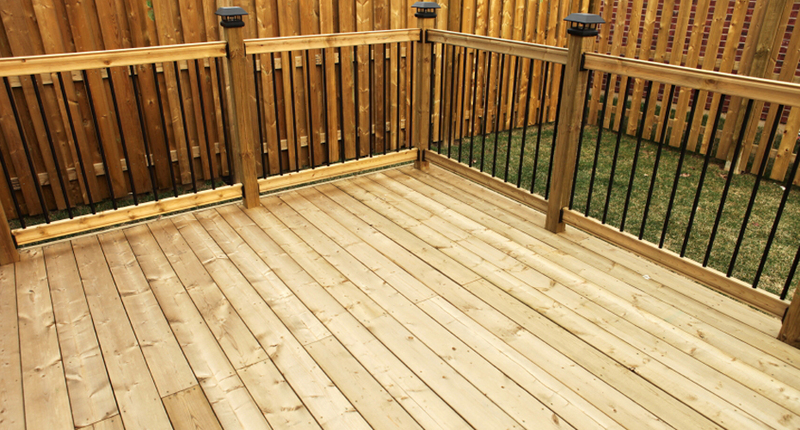 Ambassador Property Services provides the best deck staining services by using a gentle 3 step process to lift up the mold, mildew, and old stain rather than using pure pressure that can splinter the wood and cause further damage. Decks lose their color and build up mold and mildew from the weathering process. We can help bring back the original beauty to your deck. Call Ambassador Property Services, at 678-421-0027 to give you a competitive quote on cleaning and staining your deck today! © 2019, Ambassador Property Services. All Rights Reserved.